What’s It Like to Play a Berenstain Bear? 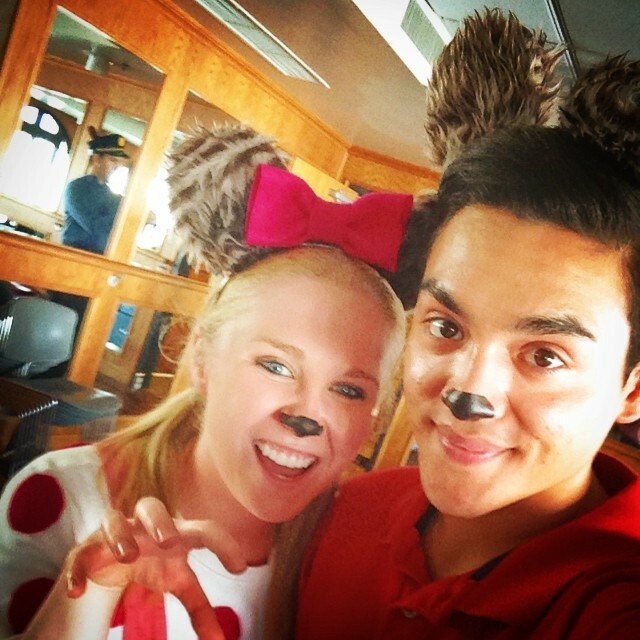 Maura McColgan (pictured left with fellow castmate Joey Anchondo), an actress and rising senior at West Chester University, is a member of the Greater Ocean City Theatre Company for the 2014 Season. She recently played Sister Bear in the OCTC production of The Berenstain Bears on Stage. What was your immediate thought upon finding that out you had been cast as Sister Bear? I was so excited. I thought that Sister Bear would be a perfect role for me to play! She’s sassy, smart, and a very developed character. I had no problem getting myself into character because I was a lot like Sister Bear when I was a child. How is playing an animal on stage—even a singing and dancing one—different than playing a human? How did acting in The Berenstain Bears on Stage compare to some of your past theater experiences? Acting in The Berenstain Bears was very different from anything I have ever done before. We had only five rehearsals, all in one week! And then we performed four shows! Two in Ocean City, one at Stockton College, and one at the Cape May Convention Center. It was extremely fast paced but it was an amazing learning experience. It gave me confidence that I can learn things very quickly and perform successfully after only a few rehearsals. Specific to The Berenstain Bears, it was also my first time playing an animal! 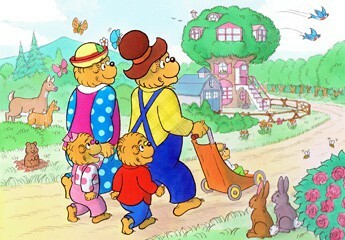 Even if the Berenstain Bears are very much human and go through human conflict to teach lessons. All the stories are very relatable. The Berenstain Bears on Stage is based on five different Berenstain Bears stories: The Berenstain Bears’ New Baby, The Berenstain Bears and the Messy Room, The Berenstain Bears and the Double Dare, The Berenstain Bears Tell the Truth and The Berenstain Bears Get Stage Fright. Which one of these was your favorite and why? My favorite story to perform… that is a hard one. If I could pick one, it would be The Berenstain Bears and the Messy Room. One of the songs in this scene is actually a rap where Brother Bear and Sister Bear rap about their messy room and what toys they have. That was pretty fun for us because it seemed so random to have a rap in a musical, but the composer sure had a sense of humor! It somehow worked and was genius. Probably the most epic part of the scene though involved a closet that Brother Bear (Joey Anchondo) and I had to strategically place all of the toys into so that when Mama Bear (Chrissy Hartzell) opened the door of the closet, a lever was pulled so the toys would all fall on top of her. It caused the audience to laugh hysterically every single time! It was a lot fun. I want to thank the Greater Ocean City Theatre Company for giving me my very first professional theatre experience this summer! It was extremely rewarding to see all of the little kids at the end of all our shows give us hugs and high fives. A few of the kids told me I was their favorite in the play, which, to be honest, means more to me than being told that my acting and singing was great for one reason: for that amount of time that I was on stage, I WAS Sister Bear to them. I was able to take them out of the real world and even after the play was over, I was still Sister Bear to them. When you are able to make a child that happy and feel that special to meet you because you inspired them, taught them a lesson, or look up to you, you did your job. I always believe that I do what I do for others, and children’s theatre is the most direct way that any actor can make a difference, in my opinion.